Take yourself to a mystical land far away with this classic plaid pattern. 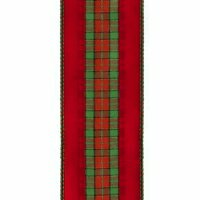 Reach Plaid's Upper Echelon this holiday with Offray Ribbon! We carry a large selection of Offray Plaid Ribbon that will make are a great addition to any project or event!